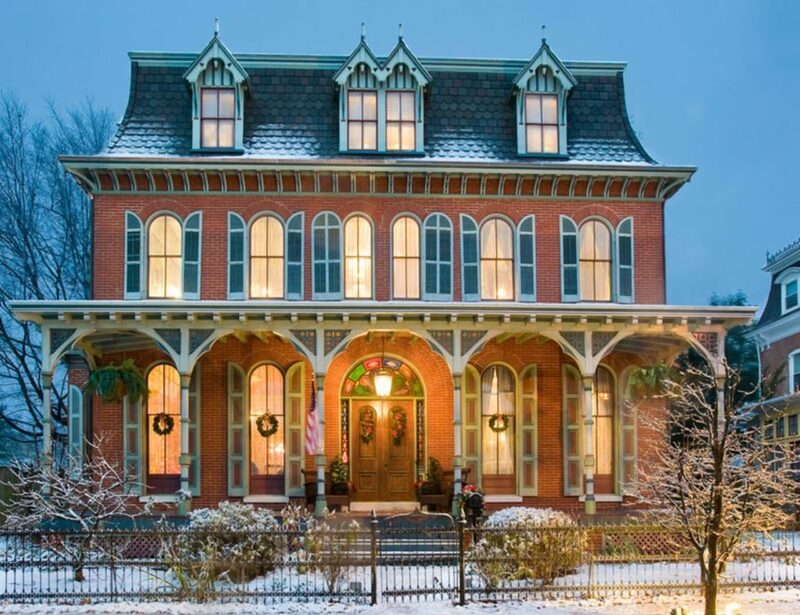 See yourself in a Victorian home with one of these beautiful houses! 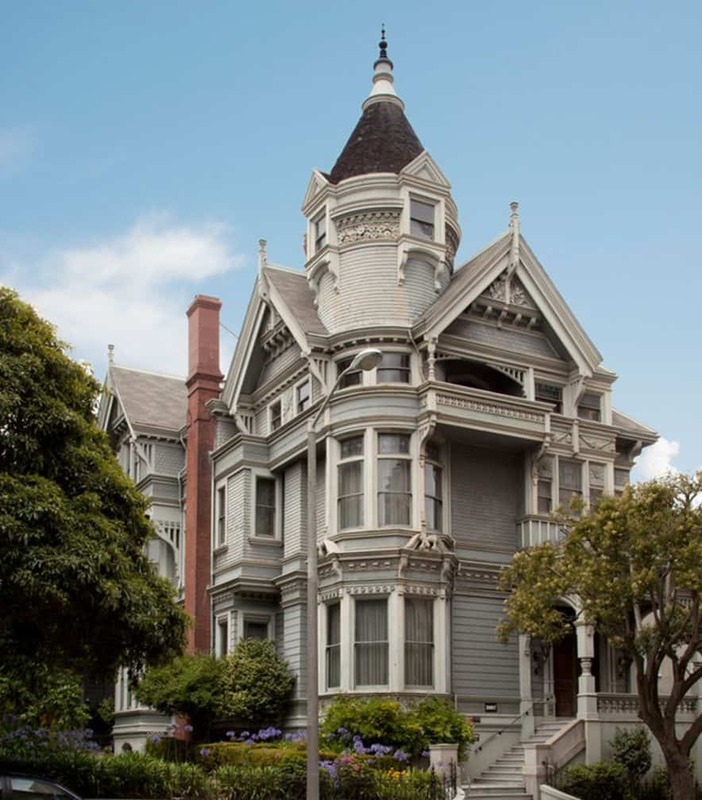 Whether it is a Victorian house built in the style of that area or a restored home that was refreshed after being run down, these homes are stunning. Enjoy the one-story porches, decorative trim, multi-faceted roofs, and complicated shapes associated with this architectural style. 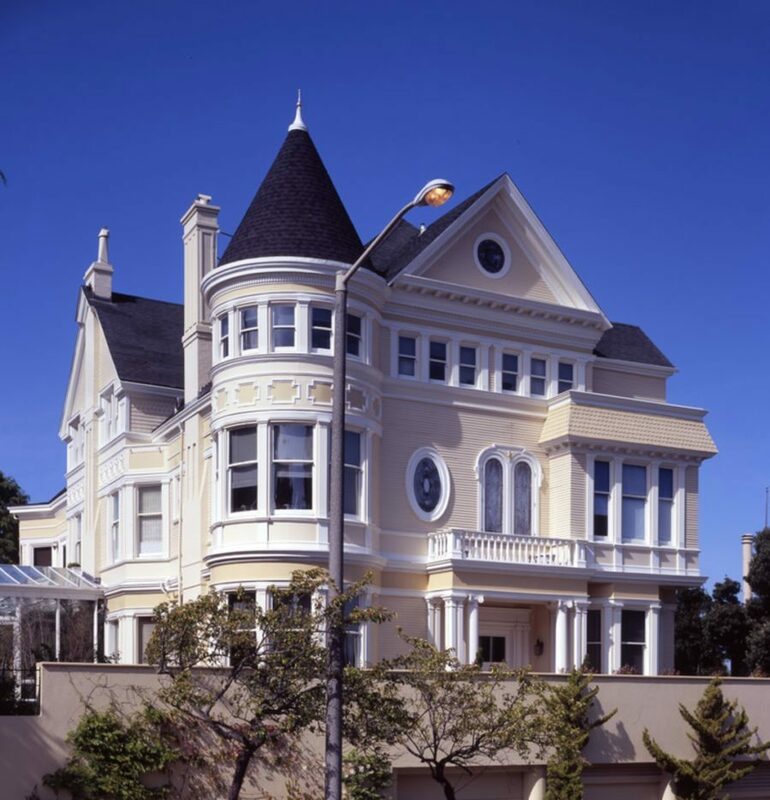 Victorian roofs are designed to standout. With a dark roof, a light colored exterior really pops from the street. This three-story home is a show stopping piece of architectural design. You may have seen a building like this before, because this style was commonly used in government buildings. 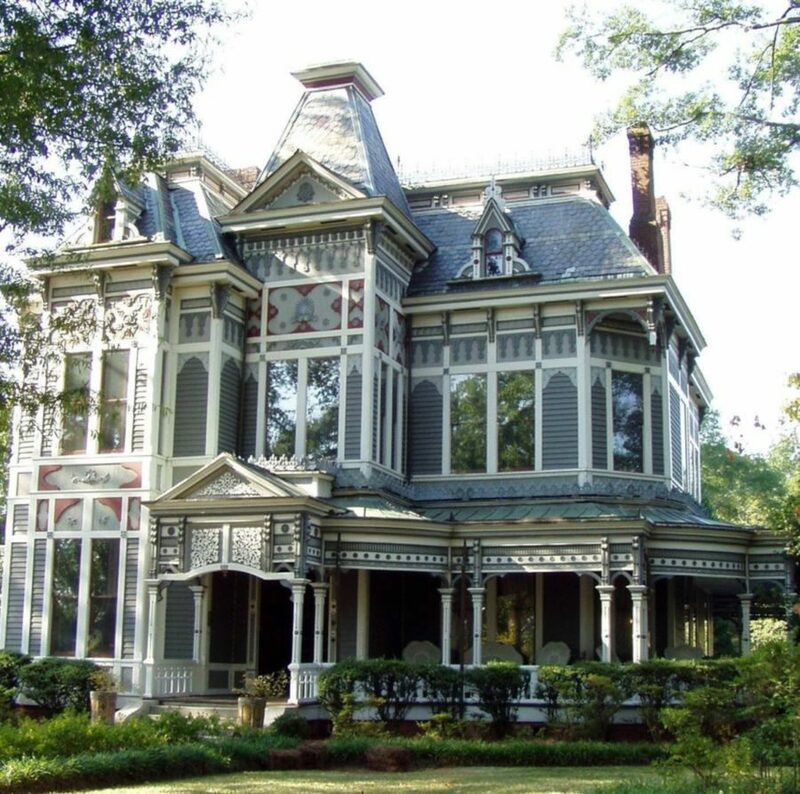 This is an authentic Victorian structure that has been restored. Imagine living in the city with this home as your own. 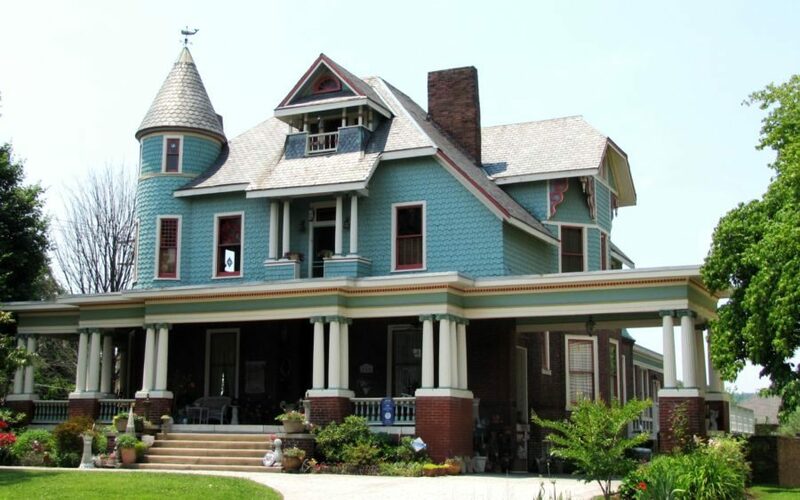 It is styled with four paint colors and a dark roof color. 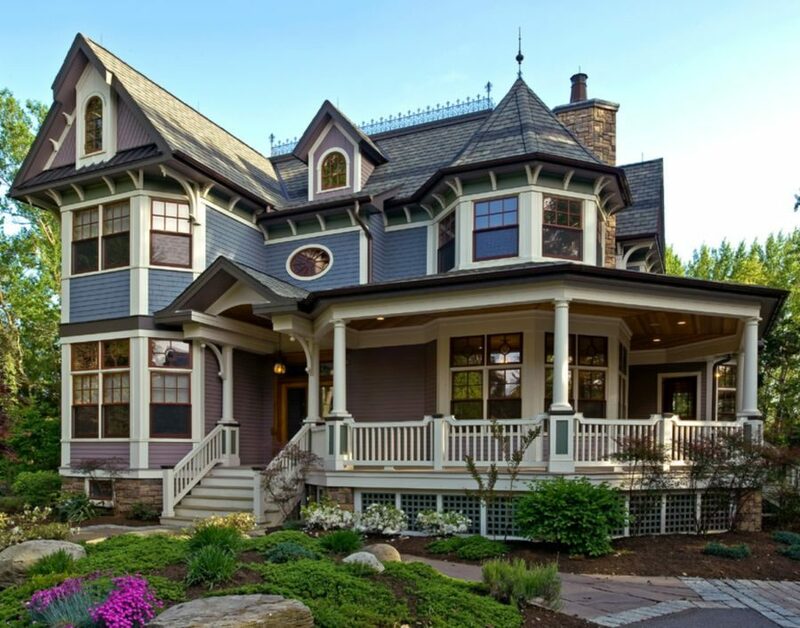 The intricate paint on the exterior of this home truly makes its architecture stand out. 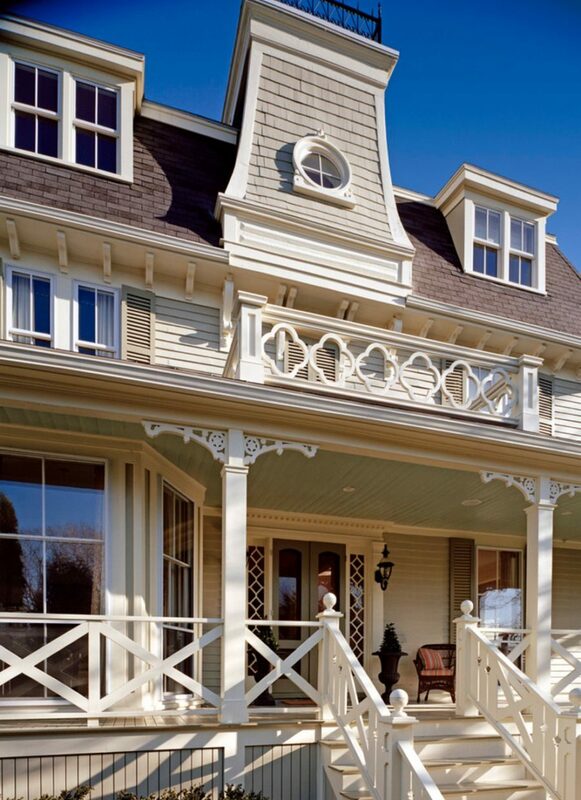 One of the most distinct features of a Victorian structure is the lower level wraparound porch. With an outdoor space like this, it is easy to imagine yourself sitting and reading outside. Did you notice how each level . 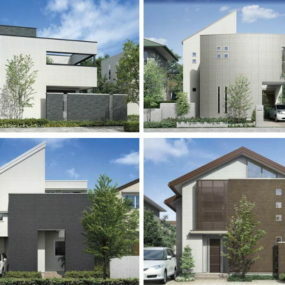 of this home is painted a different color? 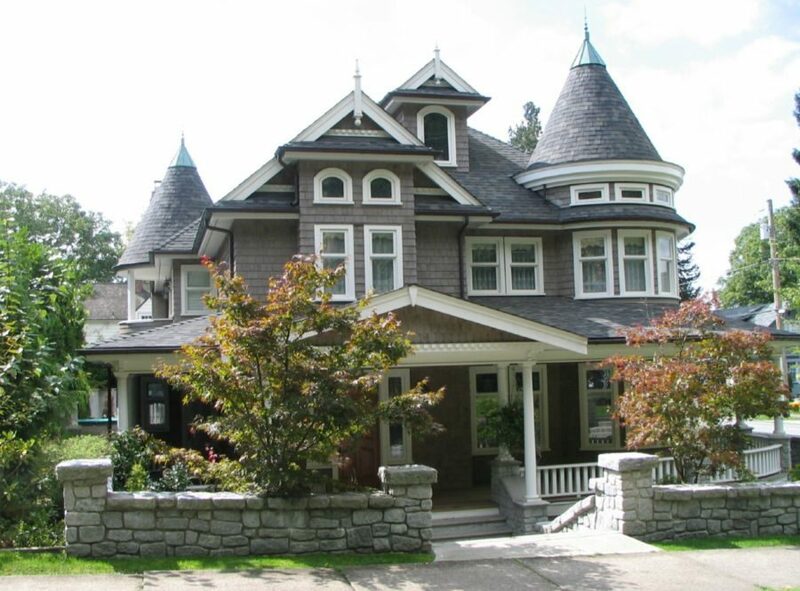 While not as traditionally Victorian, this home was built in a style that was also popular at the time. The roof still has the same odd shape as is common with Victorian design. 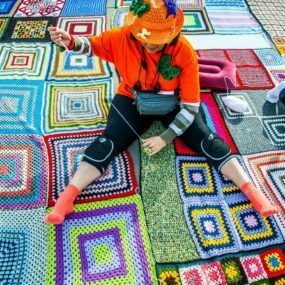 When a home has unique design features, decorative trim, and textured surfaces, there is no need to add too much color to the exterior. Every feature of this home screams Victorian. From the way the yard is maintained to the trim to the shape of the building, all of the stops have been pulled on this one. The interior of this home is likely just as impressive as its exterior. 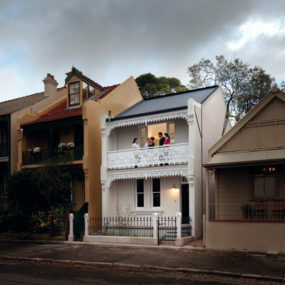 Victorian homes don’t have to be standalone structures. This townhouse is stunning and muted in tones. 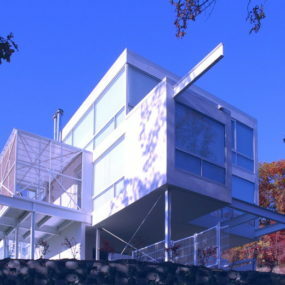 Although there isn’t a large porch, there is an illusion of one with the walk-up stairways. Bright yellow contrasted with a gray roof allows the bedroom windows to stand out in this Victorian home. 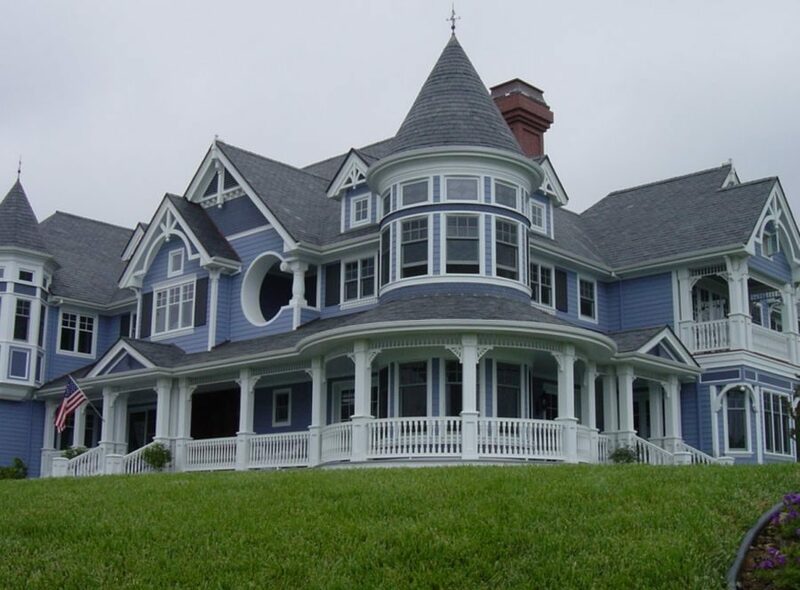 The bright blue exterior with the white trim is a classic combination used in traditional Victorian homes. 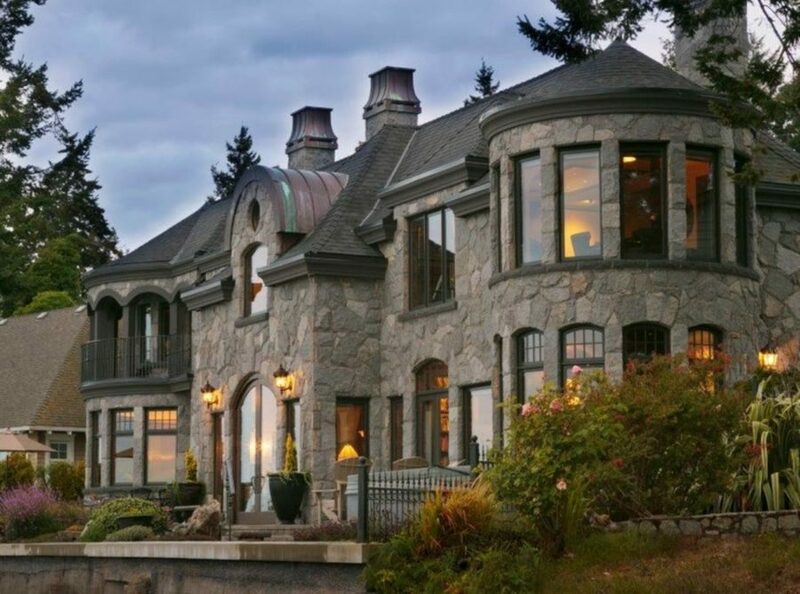 This sprawling home covers a lot of ground, so there is room to feature every piece of traditional Victoria. The porch, the building shape, the unique shapes, the fun colors, and more all combine to be an elegant piece of design. 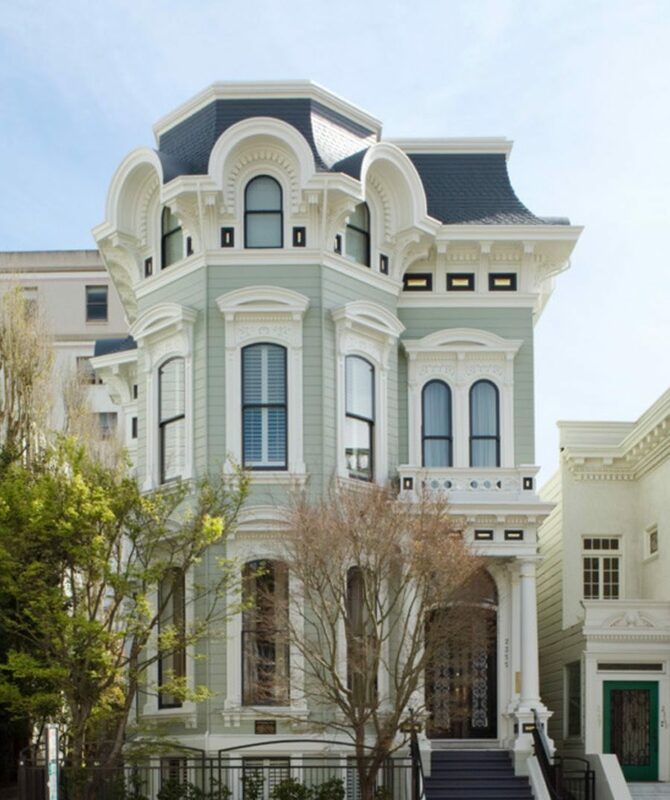 This Victorian townhouse also has a porch on the bottom story, perfect for watching the world go by. This house just might be a castle! 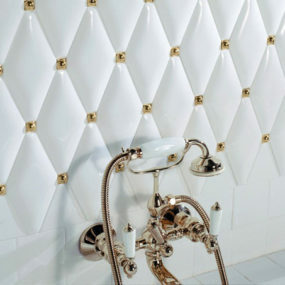 Its unique shape and beautiful look will never go out of style. 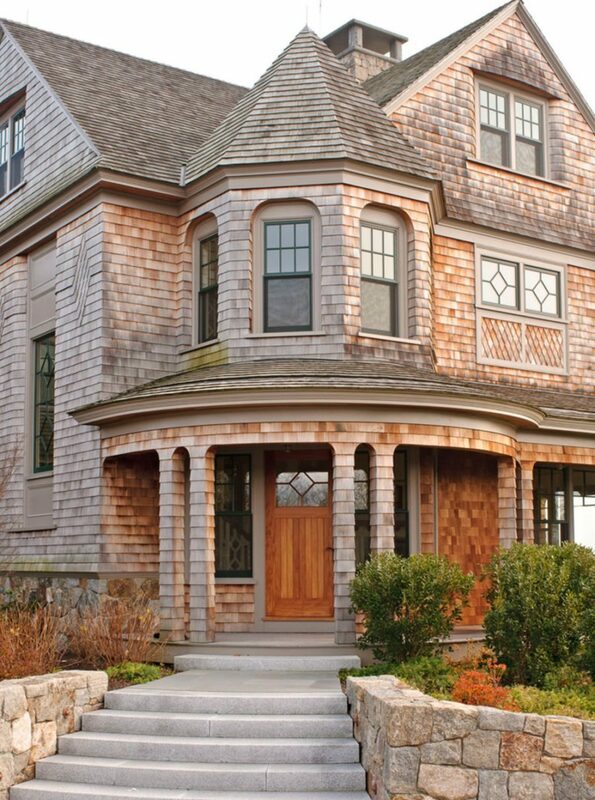 This is a combination of a popular siding used with beach homes and the architectural style of a Victorian. 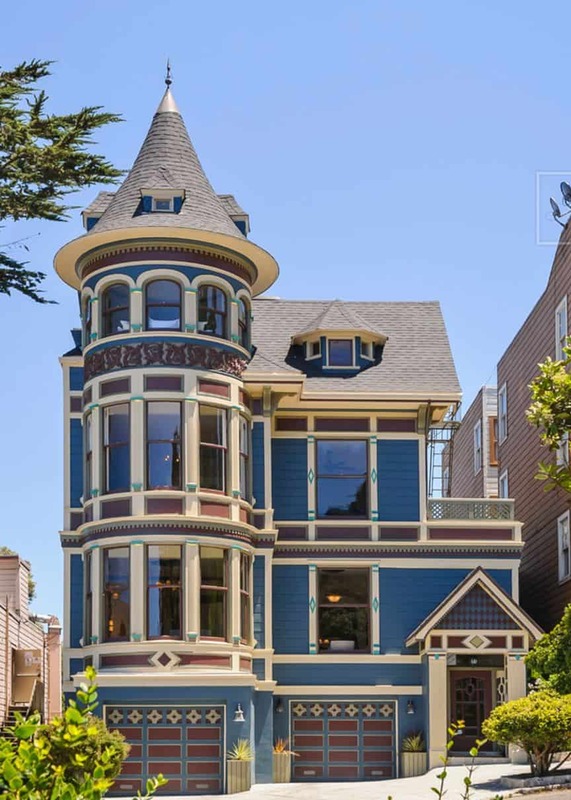 You can live on the beach in a Victorian! Light green makes the gray roof of this three story home stand out. 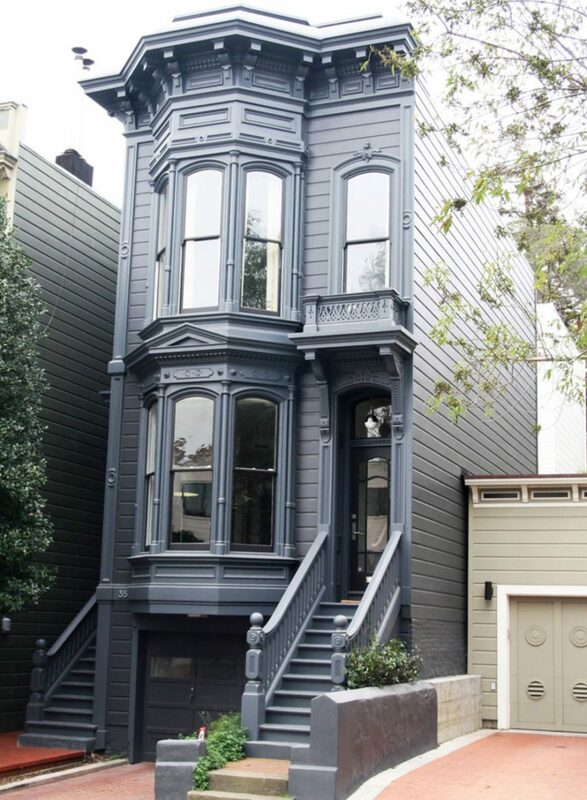 Although their isn’t a large lot to build on, this Victorian makes up for it by being built upwards. Although this isn’t a traditional Victorian siding choice, this structure was built to be architecturally honoring to the Victorian tradition. 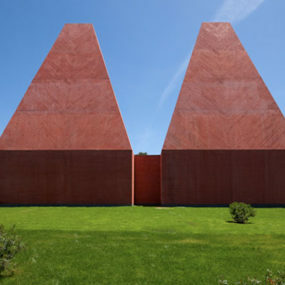 There are windows covering the entire facade of the structure. 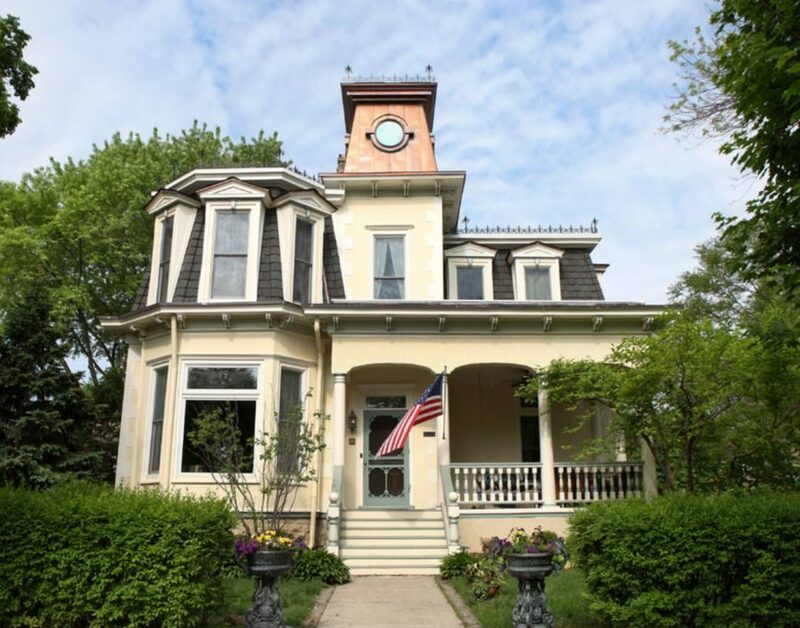 This historically restored Victorian home was created to include original trim work as well. 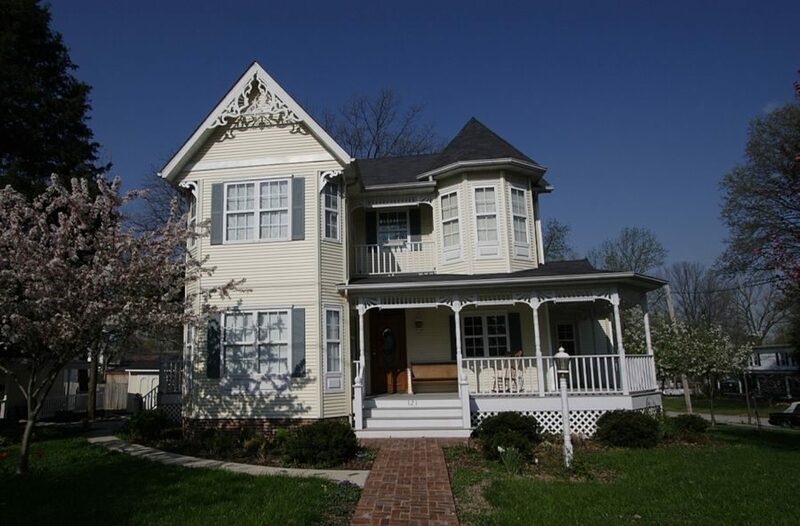 Unlike the standard for a Victorian home, there is a second story porch for you to enjoy the view. 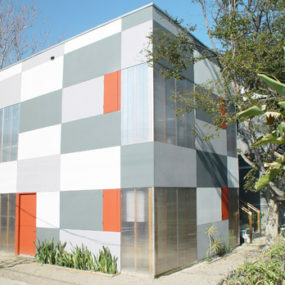 The second story of this structure looks large and welcoming because it is painted with a pop of color. 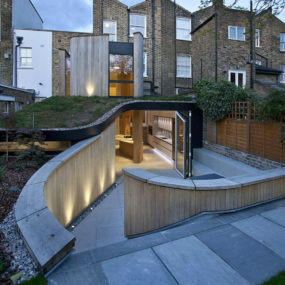 This home also has three stories! 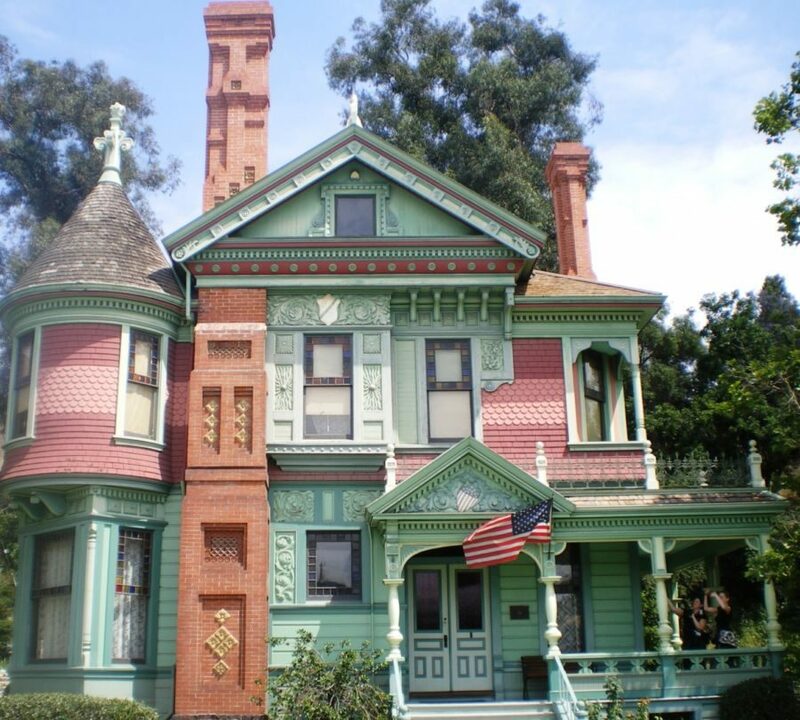 From bright brick to several shades of green and two pink colors, this Victorian home is sure to be a favorite in the neighborhood. There are several details on the exterior of the home as well, including on the trim and siding. Also, notice both chimneys!